The Christian Ministerial Fellowship of Newburgh & Vicinity held its 46th Annual Martin Luther King Jr Celebration on Thursday, January 15, 2015 at Mt. Carmel Church of Christ in Newburgh, NY. 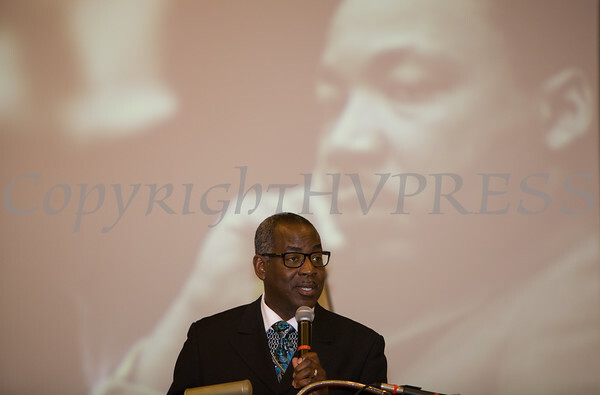 Bishop Jeffrey C. Woody, Pastor of Cathedral at the House was the Guest Preacher for the Christian Ministerial Fellowship of Newburgh & Vicinity's 46th Annual Martin Luther King Jr Celebration on Thursday, January 15, 2015 at Mt. Carmel Church of Christ in Newburgh, NY. Hudson Valley Press/CHUCK STEWART, JR.